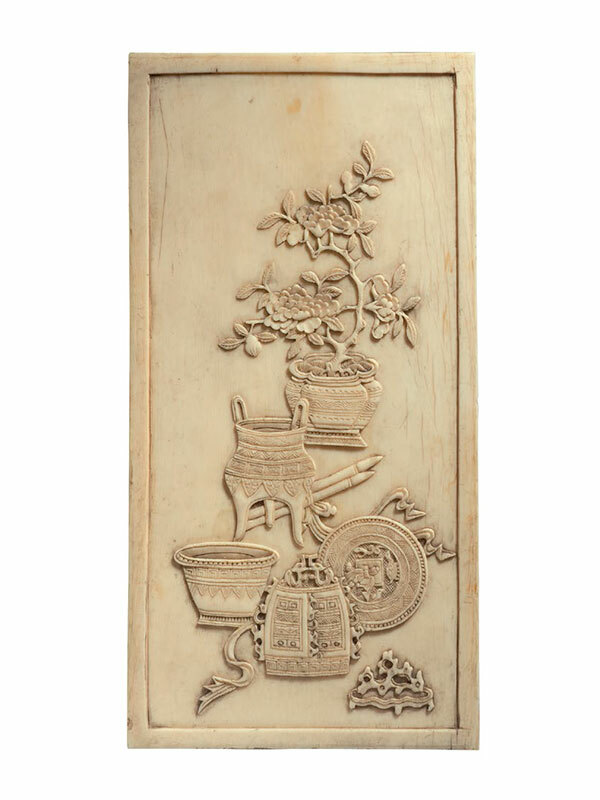 An ivory rectangular panel carved in low relief with several objects, including a scholar’s rock on a stand, an archaic bronze bell adorned with ribbons, a round vase, a circular bronze mirror, a bronze ding, two writing brushes and a lobed jardinière with a large arrangement of flowering peonies. The edge of the panel is beaded. The back of the panel is plain and smoothly polished. The ivory is well patinated and reveals the fine grain and vertical lines of the texture.